This price includes projector and screen. 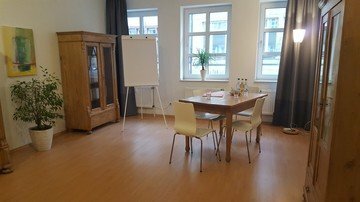 We have a bright and warm seminar or coaching room, which we gladly rent out. 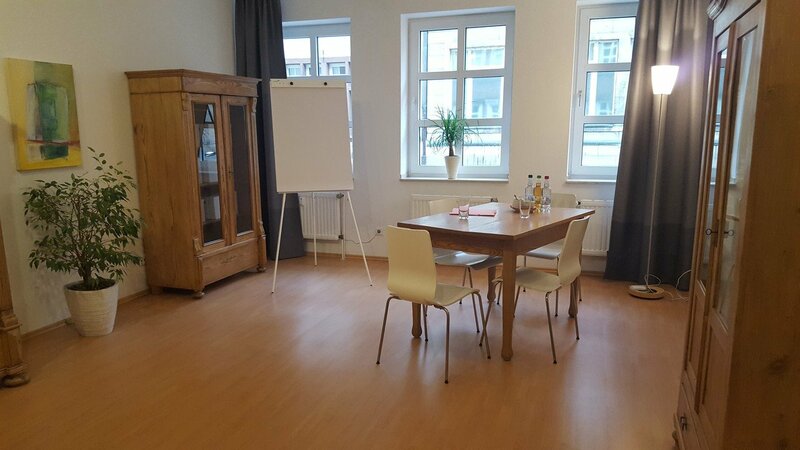 The room is approximately 35 m² in size and is equipped as a coaching room. A bathroom, a fully equipped kitchen and a modern and cozy waiting area are also available. Seminar leaders, participants and coaches appreciate the central and beautiful location. The central subway station is 50m away, a car park is 100m away. 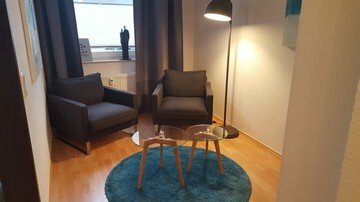 Super Lage, schöne geräumige Wohnung, geschmackvoll eingerichtet. Alles da was man braucht. 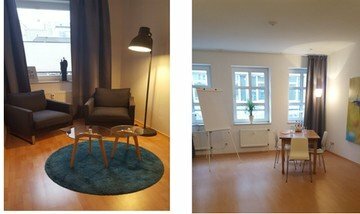 Sehr schöner, heller und einladender Raum. Es hat alles perfekt geklappt und der Kontakt war sehr freundlich. Sehr gut erreichbar mit öffentlichen Verkehrsmitteln. Zentral, aber trotzdem ruhig. Ich würde den Raum auf jeden Fall noch einmal buchen.